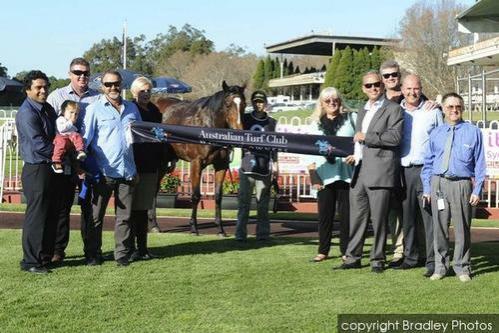 Bonee Tess a 2YO filly by BON HOFFA impresses with a gutsy all the way win at Warwick Farm today over 1100m. She drew the outside gate and had to be used early to get across and then showed great courage to hold on a win in a dead heat result. Our 1st runner and winner with up and coming Warwick Farm trainer Jarrad Austin.